Everyone wants to see a showdown between Rachel Alexandra and Zenyatta. Although people do change their minds, as Jess Jackson did last year with Curlin, there are issues involved here that make it improbable it's going to happen. But there is a way to overcome those issues, which we'll get to later. Let's first discuss the principals involved. 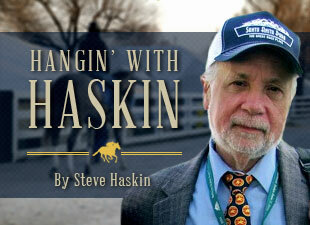 The owners of both horses have proven to be sportsmen and would love to see them square off. But, when it comes to meeting in either New York or California they each have their reasons for going their separate ways. Jess Jackson, majority owner of Rachel Alexandra, has stated emphatically he does not like "plastics," as he refers to synthetic surfaces, and will not send Rachel to the Breeders' Cup, run for the second year in a row on Santa Anita's Pro-Ride surface. John Shirreffs, trainer of Zenyatta, does not like detention barns, based on his two previous experiences. Jackson has bad memories of Curlin's defeat in last year's Classic, which he blames on the surface, whether you agree or not. And Shirreffs has bad memories of Giacomo and Tiago boiling over and losing their composure in the detention prior to their respective appearances in the Belmont Stakes. Even though none of these issues has anything to do with the Rachel (who has already won impressively on a synthetic surface) and Zenyatta (who has never been in a detention barn), you can't blame the parties involved for the way they feel. It's just the way it is. Neither is ducking the other. As for Jackson, many believe Curlin, who worked brilliantly over the Pro-Ride surface between races before last year's Breeders' Cup, simply was over the top by race day. He made an explosive move around the turn to challenge for the lead, but tired in the stretch. Did he really not care for the track on that day or did his long stay in Dubai and four subsequent starts, three of which were far from strolls in the park, finally catch up with him at the three-sixteenths pole of the Classic? No one can say with certainty whether his two struggles against questionable opponents in the Woodward and Jockey Club Gold were a hint that he was heading in the wrong direction or whether he indeed was compromised by the track at Santa Anita. The one thing few can argue with is that the Curlin of last year's Woodward and JC Gold Cup was not the Curlin of the 2007 Breeders' Cup Classic or Dubai World Cup. But bad memories make people apprehensive about repeating the incidents that caused them, and Jackson does not want to experiment with another superstar and risk damaging their reputation after having been burned once already. Whether Jackson is right or wrong in his dismissal of the Breeders' Cup, he is not willing to find out this time. Some will agree with his decision; many will not. All that matters as far as Rachel Alexandra is concerned is what he believes and how strongly he believes it. In the case of Shirreffs and the Mosses, it is the same principal. They also have bad memories. They saw two placid colts lose their composure in the detention barn, and do not want to risk Zenyatta's undefeated record and jeopardize her chances in the Breeders' Cup, and then regret their decision if she suffers the same fate. We've already witnessed how intense Zenyatta often gets before a race, and the detention barn, following a 3,000-mile trip, could very well prove to be a bad experience for a mare who has basically spent her entire career running out of her own barn and going through the same relaxed routine. Shirreffs may feel it is kind of late now to disrupt that routine in such dramatic fashion and then have another cross-country trip back home. Once again, whether we agree or not, we have to respect his and the Mosses' decision. So, we could move on and concentrate on the races in which Zenyatta and Rachel Alexandra will run. They are pretty ambitious as it is, with Rachel heading for another date with the boys in either the Haskell or Travers, and Zenyatta looking at the Breeders' Cup Classic. Those races alone should provide us with enough thrills to last for a long time. Most owners would not have even kept Zenyatta in training at age 5 after all she accomplished last year. Most owners would not have run Rachel in the Preakness. So, although it looks at this point as if we won't be getting the main course we've all been craving for, you can't dismiss all the exquisite dishes we've already been treated to and the ones still to come. Now, comes the possible solution; one option that hasn't been discussed, but is worth mentioning, just for the heck of it. But if the two parties involved really...I mean really...want a showdown, what if Monmouth Park, which does not require horses to go into a detention barn, moves the date of the Molly Pitcher back a week to Sept. 5, giving Zenyatta four weeks from the Clement Hirsch, instead of three? If the 1 1/16 miles is too short, Monmouth has proven to be one of the more accommodating tracks and can easily move it to 1 1/8 miles. If the $300,000 purse is not lucrative enough, Monmouth, despite not being in the greatest financial situation, has provided enough incentives in the past to raise it to at least $500,000 if that's what it is required to get it done, although the feeling here is that the purse would not be that relative to sportsmen like Jackson and the Mosses. Under normal circumstances, Jackson likely wouldn't think of running Rachel in a grade II race, but this would far transcend the grade of the race. Monmouth, after suffering horrible luck with the weather in the 2007 Breeder' Cup, brings back good memories for Jackson, who saw Curlin nail down Horse of the Year in the Classic. You can bet track management would go overboard in promoting this race, which would be a rousing close to the summer season at the Jersey Shore. What a way for the thousands of college kids who rent homes in nearby Belmar and other towns to celebrate one last time before heading back to school. So, you would have Rachel and Zenyatta meeting on the dirt at a neutral track in front of young, enthusiastic fans who are known for giving equine stars a rousing welcome in the Haskell Invitational. Just ask the connections of Big Brown or Point Given or Funny Cide or War Emblem or Curlin. Now, here's the kicker. If Rachel defeats Zenyatta, she likely would be voted Horse of the Year, and could then prepare for her 4-year-old campaign if Jackson and Asmussen decide to end the year on a high note. She would have nothing more to prove. If, however, Zenyatta defeats Rachel, don't you think there's a good chance that Jackson, despite his feelings for synthetic surfaces, would feel he has nothing to lose and everything to gain by seeking out Zenyatta for a revenge match in the Breeders' Cup? As a side note, a meeting between the two fillies in the Ladies Classic would have negative repercussions, but we certainly could live with it. Imagine the number of disgruntled fans and the complaints directed at the Breeders' Cup for having a race of that magnitude on a Friday with 20,000 fewer fans in attendance and one-third the TV audience. Imagine having to settle Horse of the Year on a weekday when people on the West Coast are working and people in the Midwest and East are either coming home from work or eating dinner? It worked out well last year, because a dominant Zenyatta was given her own spotlight, befitting a star of her stature, even if there were fewer people in attendance and watching on TV. But when you have the sport's two biggest superstars clashing for Horse of the Year honors, you want that to be the main attraction on the biggest day of racing. But even if they do meet in a rematch in the Ladies Classic instead of the real Classic, we'll take it. So, let Monmouth Park start putting the gears in motion. Crazier things have happened. I realize I'm grasping at straws. But what's the alternative?